One of the cool things about having my own website where people read what I write everyday, is that I am "known" for certain stuff. For example, writing very long, "Gleeman-length" entries. Or for my never-ending support of Bobby Kielty and my incredible obsession with Johan Santana. And, perhaps most of all, my dislike of Luis Rivas. However, as I have watched my beloved Twins over the past month or two, I can't help but notice that Luis Rivas is playing better lately, at least offensively. His batting average was, until an 0-3 last night, up over .270 for the first time all season, he is actually getting multiple hits in games occasionally and, overall, his work at the plate has simply been noticeably better. So, for the past week or so, I have been planning on devoting an entry to Luis Rivas and his play of late. I wanted to examine his improvement and see where it is coming from and try to decide how "real" I think it is. Then, I woke up yesterday morning, turned on my computer and made my daily treck around the blogging universe. 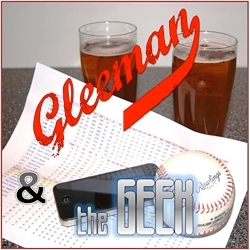 One of my first stops, as it is every day, was TwinsGeek.com. The Twins Geek, aka John Bonnes, is a really great guy (if you remember, we went to lunch a while back), a huge Twins fan and an excellent writer. I read his entries every day and I always enjoy them. Yesterday's entry was particularly enjoyable for me, because...well, it was the same entry I wanted to write about Luis Rivas! And I don't mean "the same" as in he wrote about Luis Rivas and I was planning to write about Luis Rivas. No, I mean the same, as in he wrote the exact entry I would have written (well, his was more to the point and wasn't 50 pages long, but you get the idea...). Has Luis Rivas turned a corner?" 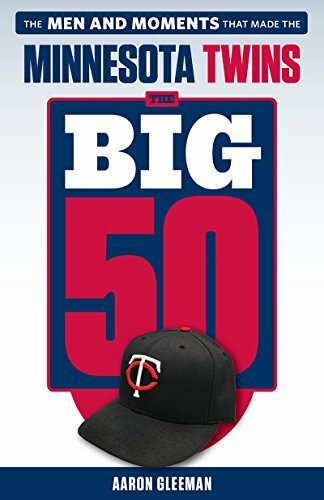 I won't quote John's entire entry, because you should definitely head over to TwinsGeek.com and read it yourself (after you are done here, of course). I will say that John examines three parts of Rivas' offense: Batting Average, Isolated Slugging Percentage and Batting Eye. Batting average, as everyone knows, is simply hits divided by at bats. It's probably one of the first mathematical "equations" you ever learned (assuming you were a baseball geek like John and myself). Isolated slugging percentage is a hitter's slugging percentage (total bases divided by at bats), minus their batting average. In other words, how much power does this person have? Batting eye is strikeouts per walk, which could, depending on your point of view, be described as either "plate discipline" or, as I would call it, "strike zone judgment." Those three stats that John chose to talk about are essentially the three big ones. Is he getting hits, are they going for extra-bases and is he taking walks/striking out? So, John pretty much covered what I wanted to cover. But, because I like to hear myself talk (and see myself type), I want to take my own look at Rivas' play of late. After all, I have been pretty harsh on Luis Rivas for a very long time now, so the least I could do would be to spend a little time seeing whether or not he is actually becoming a good player, right? That's real, significant improvement and his numbers in June are the type that even I can get excited about. The problem, of course, is that a month (or even 2 months) is much too small a sample to conclude that a player who has been a very bad hitter for several years has changed dramatically. On the other hand, some Twins fans disagree with me. Many people I have spoken with are very excited about Rivas' last month or two and they feel like it is almost certainly the start of him becoming a good hitter. The above hitting lines are from Luis Rivas - in September of 2000, June of 2001, July of 2001, September of 2001, October of 2001 and September of 2002. As you can see, Rivas has had several months during his career when he has been a decent hitter. The fact is, every major league hitter who gets everday playing time for several years in a row is going to have good months, that's just the reality of small sample sizes, luck and random distribution. Are Luis Rivas' back-to-back "good" months this season any different than any of those other months? Well, not really. In fact, if I were to put May and June of this year in with the 6 other months from earlier in his career and mix them up, you wouldn't be able to tell which was which. Now, you tell me. Which is May and June of this year? There are a lot of .290s and .300s on that list, there are a couple of .400 OBPs, some decent slugging percentages and even a month when he hit .361. Yet, in 2001, 2002 and so far this season, Luis Rivas has been one of the worst hitters in baseball. The point is, improvement from a player like Rivas has shown over the past 50-60 days or so is absolutely great to see. However, it is no more a sign of significant, long-term improvement in his overall ability than those months in 2000, 2001 and 2002 were. Pretend we just traveled back in time to the end of the 2001 season. Luis Rivas, after a bad first few months, has just hit .361/.403/.444 in September and .310/.333/.345 in October. Reason to get excited, right? Not so much. The next year, Rivas hit .256/.305/.392 and was, once again, among the worst offensive players in baseball. Maybe this is just me being stubborn, but I tend to trust 1,100+ major league at bats and 2,100+ minor league at bats over 140 at bats, even if they are the most recent performance from a player. And, even if I were to want to believe in Rivas' last 2 months being the start of significant improvements on his part, why would I trust his .300/.402/.386 this June any more than I would his .361/.403/.444 in September of 2001. And why would I trust his .300/.329/.371 (which, incidentally, isn't even a good offensive month) over his .302/.316/.415 in September of 2000 or his .292/.333/.431 in September of 2002? I wouldn't, unless of course I was looking, searching and praying for a reason to believe Luis Rivas is going to become a good hitter. I'm not looking for such a thing, because I don't believe such a thing exists. I could be wrong, of course. And, believe me, nothing would make me happier than to have Luis Rivas become a good player. It's going to take more than a decent month or two to convince me though, especially when there are literally thousands of at bats to remind me of his past and many other instances of Rivas "improving" throughout his history with the Twins that have, as of yet, proven to be simply decent months. For every player, a "season" is made up of good stretches and bad stretches, good months and bad months. At any given time, you can stop and examine what a player has done over some period of time and conclude that they have made tremendous improvements or are struggling mightily. Maybe Barry Bonds is just 3 for his last 16 or Albert Pujols is hitting .443 in June. That doesn't make Barry Bonds a .188 hitter and it doesn't make Pujols a .443 hitter. It just means that, during a particular period of time, that is what they are hitting. Check back later and it may be reversed, because, if it didn't go in ups and downs, Albert Pujols would be a .443 hitter and we'd have to reprint all the record books. My point is that Luis Rivas is having a very nice (for him, at least) period of time right now, but he and every other major league baseball player go through this same thing every season. You have good months and bad months, and they combine to make you the player that you are. While Luis Rivas was having one of his best months as a baseball player, Aaron's Baseball Blog was having it's best month as a website. The two facts are, I think, purely coincidental. After topping 20,000 visitors in a month for the first time in May and crossing the 100,000 visitor-mark on June 18th, this blog had over 25,000 total visitors in June (25,950 to be exact).